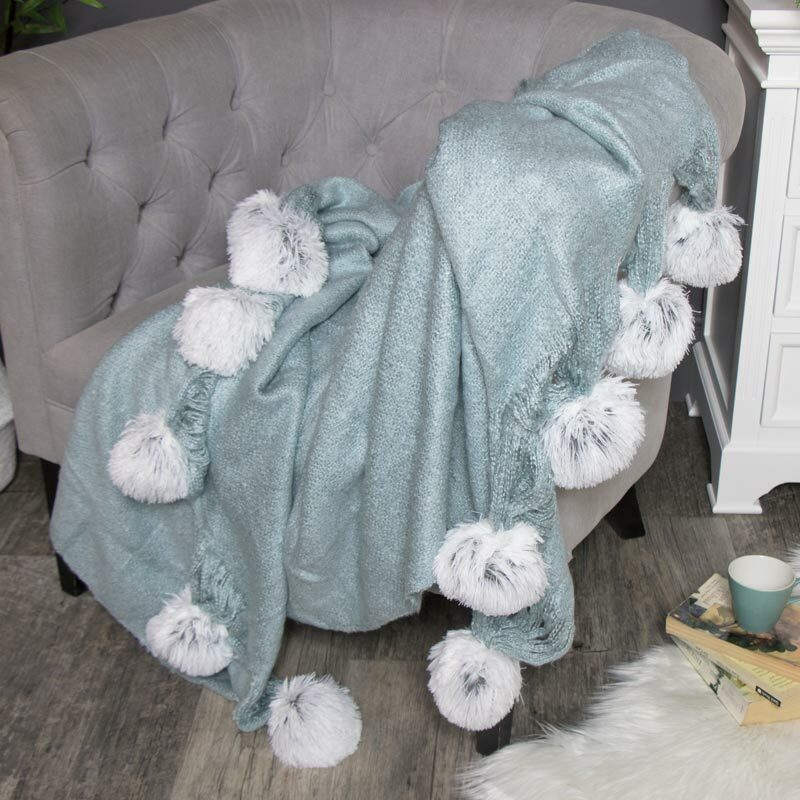 As the nights gets colder this beautiful extra soft blue blanket will be perfect for wrapping up inside whilst in the living room or bedroom. Adorable pom-poms dangling will add extra comfort and look very chic whilst draped over a chair or sofa whilst adding extra comfort. The knit of this blanket makes this throw a sumptuous and comfortable blanket both practical and pretty. As the nights gets colder this beautiful extra soft blue blanket will be perfect for wrapping up inside whilst in the living room or bedroom. Adorable pom-poms dangling will add extra comfort and look very chic whilst draped over a chair or sofa whilst adding extra comfort. The knit of this blanket makes this throw a sumptuous and comfortable blanket both practical and pretty. Measuring 150cm x 130cm it is a perfect size to wrap your self up tight and cosy. We know how important soft home furnishings are to add extra comfort to your home and interior and we do our best to keep you up to date with on trend items! Be sure to look at our other throws and rugs.